"It is always great knowing that we can count on your presence to raise the vibration of the Whole Life Expo to transformational standards." When I began working with Sandra Moon Dancer I booked in for three sessions with a view to getting some support with a life-long theme that had been limiting my potential and blocking the flow of joy and abundance over the course of my life. I have now been working with her on a regular basis for the past 6 months and credit the sessions with opening up the flow of opportunity in many areas of my life. Moon Dancer has a keen ability to see the gifts inside the wounds and to transform what stands in the way of their realisation. As an advocate for my highest good, I can always count on her to tell me directly – though with humour, compassion and a light touch – how I’m diminishing my own radiance. With her open-hearted non-judgement and her uplifting vibration, she has a unique way of transmuting the wounds into strengths. "Sandra Moon Dancer’s gaze is direct, her perceptions are precise, and her insights are profound." " 'When the student is ready, the teacher will appear.' I had been searching and working with many counsellors and therapists, yet I felt something was missing. Then I met Moon Dancer. Moon Dancer works with energy and her work transcends traditional therapy; she understands innately that language only takes us so far, and using a variety of energy related work she is able to get to the core issues very quickly -- she has amazing insight. In her gaze, in her manner, she speaks to the Soul. She works with the individual in a gentle and respectful manner. She is the guide that lights the path and helps us open the door within, empowering us to deal with anything that we need to deal with. I am extremely grateful to have had the opportunity to work with Moondancer." "Not a day has gone by where I have not listened to the Soul Dream CD since I received it! Ever since, Soul Dream has been my evening companion and dare I say the perfect dose for a restful and soul-full sleep. I wake up refreshed, connected and open to Who I Am! Thank you for sharing a most exquisite gift. Many blessings and may all come to hear and awaken to their Soul Dream." "Moon Dancer guides me directly to the heart of the matter allowing me to move mountains of energy that would otherwise take years of arduous mental work to accomplish. With clarity of feeling, I have opened myself up to life-affirming change and renewal. The speed at which all of this takes place feels miraculous." "I have thought so much of your spirit, support, lessons and love. 'Thanks' doesn't scratch the surface of my gratitude." "In addition to delving into my sexual abuse herstory, my partner and I are now welcoming Moon Dancer’s healing into our relationship and have after just a few sessions regained balance, harmony and focus." "Childhood barriers that had kept me safe were now walls between us -- my body, my partner, the world and I. Sandra Moon Dancer, our guide, illuminated our feelings, our love, our respect. With gratitude, we let go and became closer than we had ever been." "I have nothing but faith in the process as Moon Dancer facilitates it." 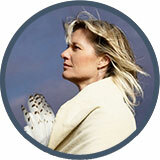 "Nurturing the divine feminine within each of us, allowing ourselves to speak from an authentic space is so important. Our daughters are very fortunate." "Thank you for a beautiful ceremony. The goddess maidens and goddess mothers sang all the way home after we left your house, so filled with the magic of the evening." "It's a beautiful, marvelous, magical circle you are continually developing, creating, living and I'm grateful to be a part of it." "It is so much more than an ordinary camp experience. The focus on emotional and spiritual life changes the way Ely learns. " "You are an incredible teacher with fabulous energy. Everytime I see you I am inspired to discover more." "I learned not to be afraid of the dark anymore." "My son comes away from Tribal Children's Circle camps with a deep sense of calm and wisdom. Moon Dancer really knows how to connect with the children and to help them remember their connection with the Earth, all the while having a wonderful time." competition, every one was equally eager and interested in dancing, and see the others dance. Just the purest feeling of love and support. Even though all the girls had different strengths, some more shy than others, all willingly took part. And thats what Goddess Girls is, that is the kind of environment we all seek, and that is the rare feeling you are instantly immersed in right from the beginning, that no one is judging you, that people care about you and what you have to offer. Everyone belongs,and that is a beautiful thing. " "Michau was enthralled with the camp, coming home and giving me snippets of wisdom and was fascinated with her goddess powers and healing abilities. I recognized a calmness within her. I feel it was very beneficial for my daughter’s emotional and creative growth."